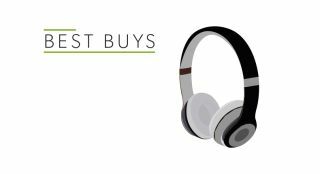 Best on-ear headphones 2018 | What Hi-Fi? ...and these are the best on-ear headphones money can buy. We've got the lot, from wallet-friendly to pretty pricey, noise-cancelling and wireless models. They may still look like the 80s classic that they are, but the sound quality for the money is surprisingly excellent. These punchy and dynamic AKG Y50s sound great, and fold up for maximum portability. They are colourful too, and eminently affordable. The H2s are the complete package - stylish, comfortable and blessed with superb sonics. The open-backed design might divide opinion, but the sound quality is balanced, detailed and dynamic. They leak sound though, so everyone will know your music taste. Bluetooth cans that sound just as good as the wired versions? Throw in a neat foldable design and earcup controls and you have a winning pair of headphones. These are comfortable, well-balanced wireless headphones with fantastic noise-cancellation. What's not to like? Boasting wireless and active noise-cancelling powers, these headphones are amazing value for money. Great sound, excellent noise-cancellation and a lovely comfy on-ear fit. Job done.